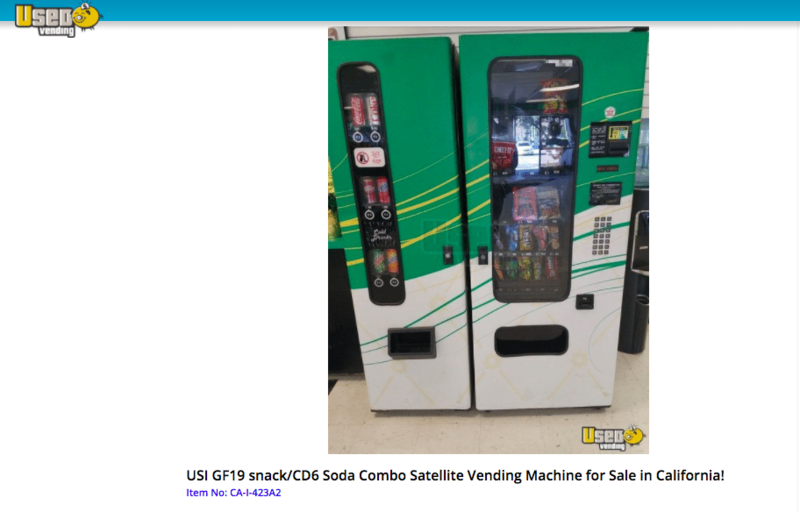 The keys to building a vending machine business are finding and selling the right locations, having many locations, keeping machines clean and stocked, and maximizing net margins on your inventory. In general, you can expect to earn a few hundred dollars a month per machine with startup costs running a few thousand dollars per machine. As with any business, it’s important to keep your personal and business bank accounts separate for bookkeeping and tax purposes. Chase Bank offers competitive fees, unlimited cash deposits, and lets you open an account with no minimum deposit. First-time Chase Total Business Checking account holders also get a $200 bonus for opening a new account. Get your offer code here. Like most startups, there is no magic bullet in building a vending machine business. Your chance of success will be better if you’re realistic about the hurdles and hard work involved. Probably the single hardest part of starting a vending machine business from scratch is acquiring locations for your machines. It is straight up sales. You need to find prospects then approach them and talk them into letting you put in a vending machine. If you do place a machine, the next biggest hurdle is going to be driving around to sites to stock, clean, and fix your machines. You’ll need to be good at client relations to fend off the competition and know what your customers want over time. You have to do all of this with the knowledge you will not make any real money until you have a number of machines that are placed and generating sales. Oh and you still have all of the work associated with a business like incorporating your business, paperwork, taxes, financials, etc. If you’re not 100% sure you can get it done, do some initial research before diving in. For every $1,000 you want to earn per month you’re going to need to have 2 to 4 locations. So if you want to make $10,000 per month you’re going to need to sell and manage 20 to 40 locations. After you’ve scouted some spots and created your plan (described below) take some materials and go around to a few prospects and try to talk them into letting you put a vending machine in. 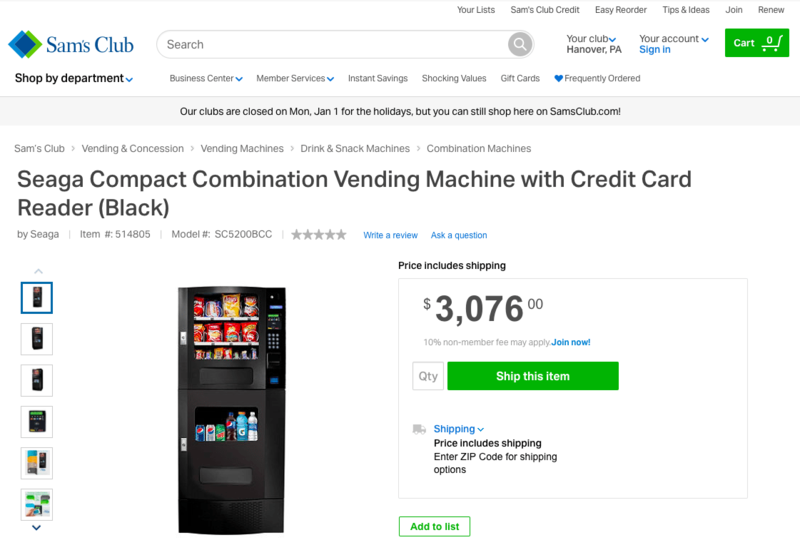 You could bring, for example, images of a stocked machine, selling points on why a host would benefit from a vending machine, and a way to talk about the great customer service you’ll be providing. This should give you a good feel as to whether you can get past the biggest initial hurdle, location sales. 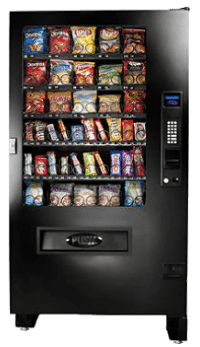 Each vending option varies in machine investment needed, potential demand for given location types, product costs and therefore profit margins, shelf-life, etc. 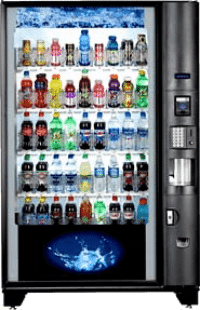 The most common vending machines are beverages followed closely by candy/snacks/confections. But you may want to focus on a new niche to entice locations. 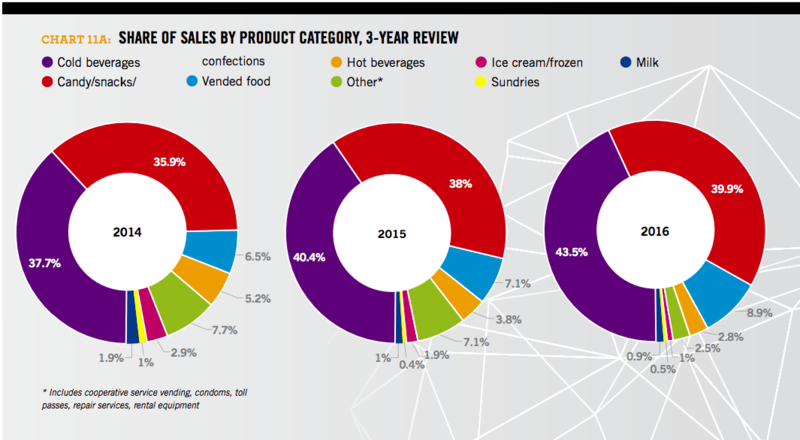 Share of vending product categories over 3 years. Low cost, low margin options generally are generally familiar products that have a long shelf life. They have the lowest upfront costs for equipment and inventory. They are also generally easier to keep in stock. But because they are low-cost, familiar, packaged products they tend to have the lowest margins and will require higher turnover to generate enough income. Examples include candy; bottle or canned beverages; and packaged snacks like chips or crackers or cookies, toys, phone cards, gift cards, non-food items like car wash or laundromat supplies, etc. Some products require more sophisticated equipment or have a higher base cost. This means higher startup and operating costs but provide generally higher margins. Examples include frozen or hot foods, high-end fitness foods, hot beverages such as coffee, electronics, etc. In addition to the machines being more expensive these vending machine types tend to need a lot more cleaning and maintenance than lower cost vending machine types. 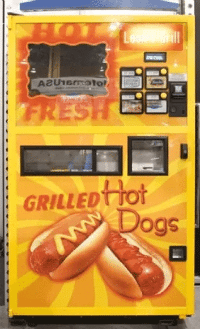 In addition to more traditional vending machine businesses there are a couple of new segments that are trending in the industry. One clear trend – at least in certain types of locations like schools, gyms, etc. – has been growing demand for healthier options. These include flavored waters, juices, and sports drinks instead of sodas; fresh fruit; and health bars like granola or protein. 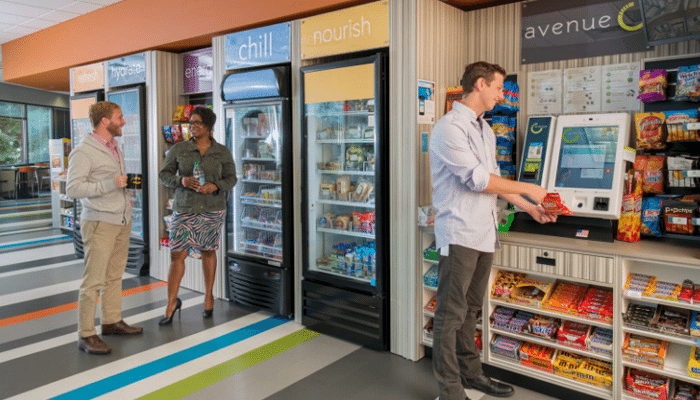 Another trend going on in the vending industry doesn’t involve any traditional vending machines at all. It’s the rise of micro markets, also known as honor markets. It’s an extension of the healthy options trend. Micro markets tend to have fresher, healthier options, including warm food. Their products are in open, self-serve areas where customers pay at kiosks without any staff involved. Though micro markets are becoming more popular among consumers, they have very high upfront equipment costs and high ongoing management costs. They tend to be dominated by a few, very large players in the vending machine industry. For the purpose of this guide, we’ll assume you’re going to start with a low-cost, low margin, healthier snack focus. 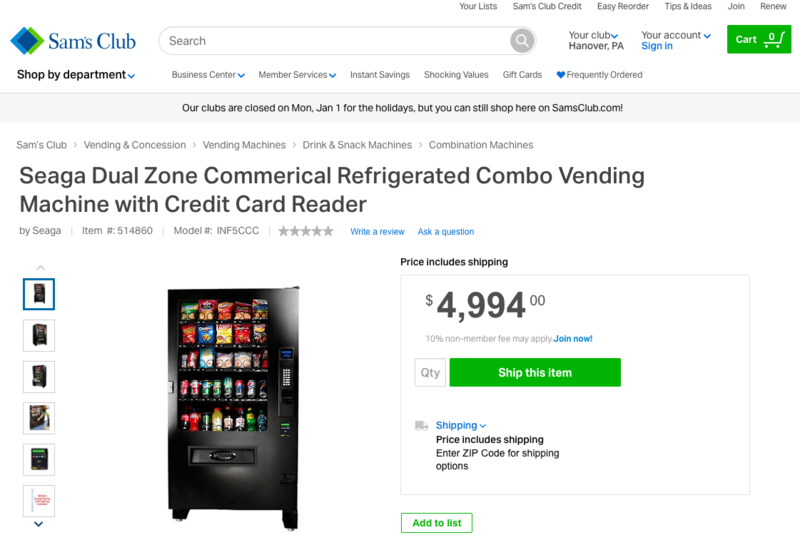 If you’ve gotten this far, you think you can sell some locations with sufficient traffic on placing a vending machine and what potential products might sell well in those locations. Now you need to think through what products will be in the machine and at what price. Ready for some math? 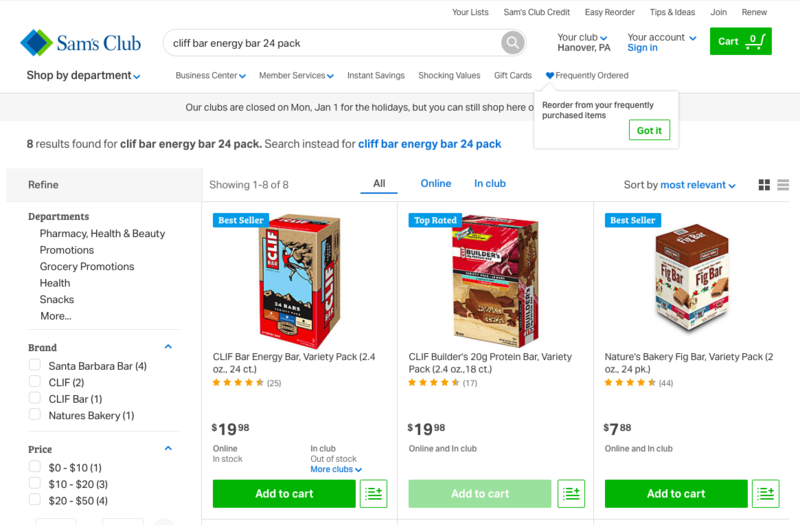 Let’s compare 2 different “healthy” snacks: Clif bars and Sun Chips. Let’s assume your supplier is Sam’s Club, a common one for those just getting off the ground. 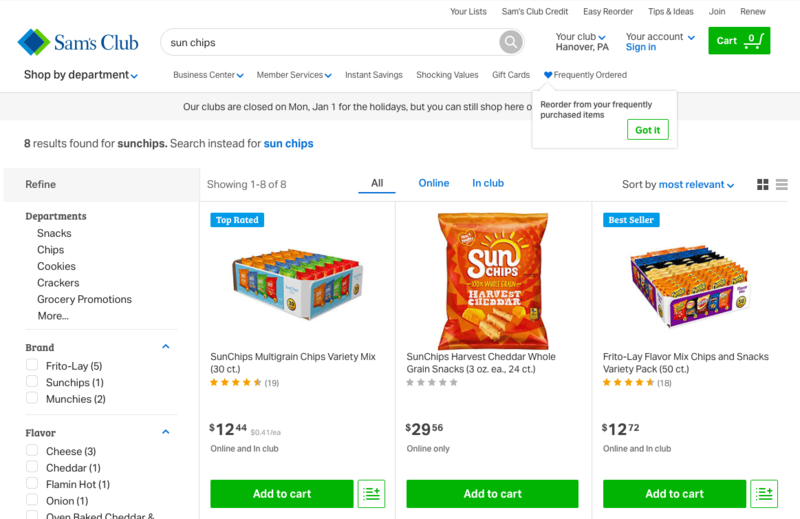 A 30 count variety box of Sun Chips is $12.44, or $0.42 per bag. The general consensus in the industry is you want to try and markup your product 100% or more and round to the nearest quarter. So in the case of our Clif Bar, you’d ideally sell this for $1.75 for a profit of $0.92 each. For the Sun Chips, we’d sell at $1 for a profit of $0.58 each. 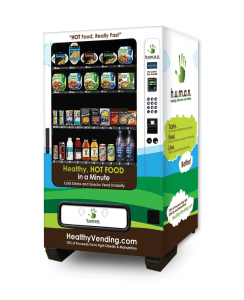 According to Healthy2Go the average healthy vending machine earned $9,336 per year at about $1 per vend. Divide that by 12 and you get about 778 vends per month. So if every vend in our machine was a Clif bar we’d make $715 per month. Which would be great since the industry average is around $300 per month. But if all transactions are Sun Chips we make $451. Big difference. And all of this assumes 25 vends per day. The higher the price the better the margin but then we get a lower number of vends. If our average is 10 vends per day (closer to the industry average) you can see what happens to profits. So product mix, pricing, and demand at a given price are going to influence exactly which products will max out your profit. A typical vending machine has 32 to 40 items to select from so you’ll need to work through that many options. It doesn’t have to be that complicated. This example was just to show the impact of product selection, pricing, and demand on profits. Generally speaking, you should pick items you think will sell well at your location and experiment with pricing, keeping in mind what others are charging. Another thing to keep in mind is that you’ll get better prices at large snack wholesalers and even more if you go directly to manufacturers. But each of these requires very large and consistent order sizes. If you manage to get to a certain size you should check out these options later on. Size and configuration will depend on the available space for the machine and the types of products you plan on stocking. Do you want a 32 or 40 selection machine and the accompanying variance in width? Snack bags tend to come in two sizes that will fit in a machine. Snack bars tend to have a different size rack than chips. You get the idea. This is pretty straightforward. If you’re going to have cold beverages you’ll need a refrigerated model with requisite racks for bottles. A small but growing option on vending machines is availability of paying with your phone using for example Google or Apple payment apps. If your locations are in more affluent locations this is something you may want to look at. 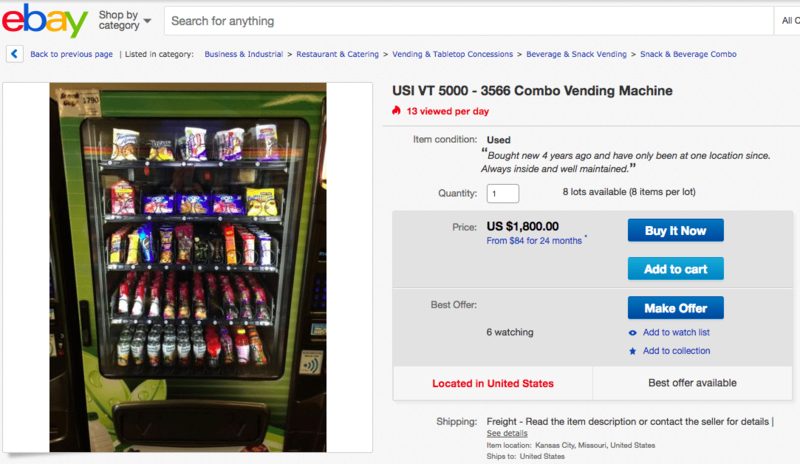 Used snack and soda, $1,000. Used snack and cold beverage, $1,800. 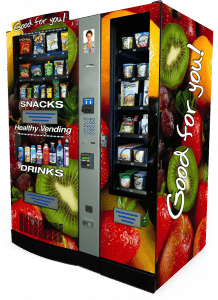 New 16 snack, 6 beverage machine with card reader, $3,076. 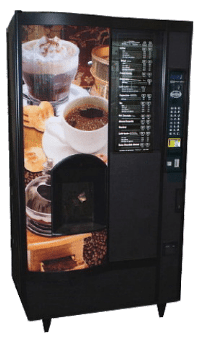 New 20 snack, 16 beverage machine with card reader, $4,994. 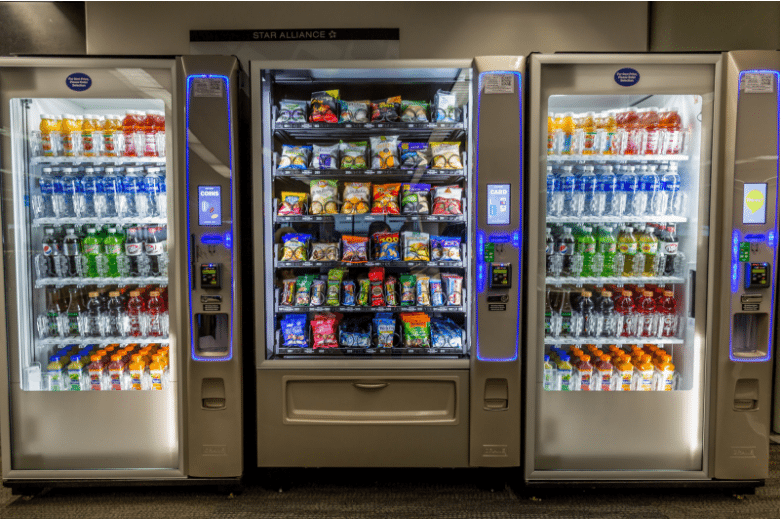 We talked to Tony Buonanno, an Account Sales Manager at Crane Merchandising System with over 30 years in the industry, and he said the biggest mistake made by people new to the vending industry is picking a location that doesn’t have enough traffic. Everyone location is going to have its own particular potential but here’s a short list of places to consider placing your vending machines. There are many other perfectly suitable locations to place a vending machine. Keep in mind the size of the space you have available, whether your machine will be inside or outside, and what kind of competition your products will be facing. The biggest hurdle in starting your business is not going to be the machines or the inventory, it’s going to be selling just like every other startup business. You need to build a sales funnel large enough to produce enough location sales. You’ll need to work on conversion rates. You’ll need to have a thick skin for all of the rejections. After you close a location your sales responsibilities don’t end. Competitors are going to try and take your locations. You’re going to want to manage your product mix and pricing to max out revenue. The best way to do these 2 things is to maintain a close relationship with the business owners and the users who shop at your machines. Build personal relationships and trust. It’s the biggest barrier for competition. Make sure your delivering great service. Listen to feedback on what might be better replacement items. Once you’ve sold your locations the 3 most important things you can do to drive sales are keep the machines 1) well stocked, 2) clean, and 3) functioning. 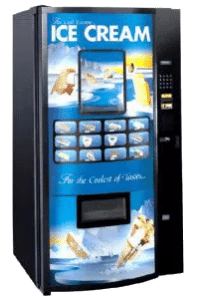 The more empty your vending machine is the staler your remaining inventory looks to prospective users, costing you sales. So keep your machines as full as possible. Since you’re just getting started you probably won’t be investing in a remote monitoring system which requires a few hundred dollars in equipment per machine and also requires a backend 3rd-party monitoring service and related software. So plan on making frequent trips to check on your machines in the beginning until you have a feel for how quickly your inventory goes. Keeping your machines clean accomplishes 2 things: increases sales and reduces maintenance cost. If your machines are dirty prospective users will associate that with poor quality food. Your machines are mechanical. So cleaning them regularly will reduce the number of vending failures and reduce the need to fix internal mechanisms. You can read more on cleaning a vending machine here. Don’t forget to get your business bank account set up before starting your vending machine business. Chase offers competitive fee structures, unlimited cash deposits, and no monthly service fee with a minimum balance of $1,500. 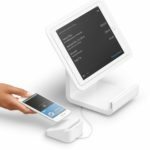 As a new Chase customer, you can also get a $200 bonus when you open a business account. Click here for your offer code. Thank you so much for this article! This article helped a lot on getting a background and insight of the possibilities of owning a vending machine business. The examples of different types along with pricing is awesome, thank you for all your research. However, I was looking to put a vending machine in my university, do you think this is possible? How would I go about this, and do you think they already have a set company contracted? The products I was intending on using are not on campus so I wanted everyone to have access to the products not being offered by my vending machine. This is a great question. Since each school is probably different, I recommend that you contact the school directly to find out what the process is to become a vendor (or supplier) for them. Those kind of decisions are probably made by the school district as a whole, but either way someone at the school should be able to point you in the right direction. Thank you for this detailed article. 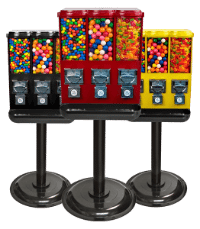 I have a question about the ‘single hardest part of starting a vending machine business from scratch’ – acquiring locations for your machines. Is it normal to pay rental for the space of the owner? And what is the typical amount if so? Is it a percentage? Hi, Travis – thank you for your comments! 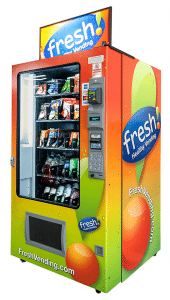 In general, the profitability of a vending machine is directly linked to its location. For that reason, high-traffic or popular locations like hospitals and office buildings often charge a fixed monthly or quarterly rate to rent the space. This fee is typically around $5 for small machines (like gumball machines) and around $50/month for machines that require water and/or electricity. Alternatively, some locations charge a portion of the machines proceeds – generally between 15 and 25%. Hope this helped! wow, thanks so much for this. you have no idea how useful this was for me. again, thanks!